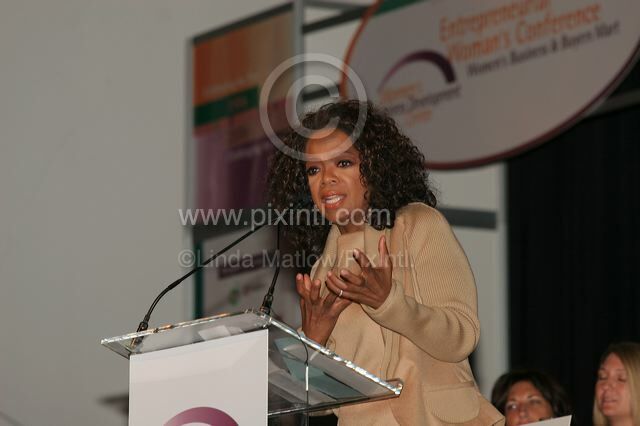 Oprah Winfrey was the keynote Speaker for the 20th Anniversary Womens' Conference Awards Luncheon Presented by the Women's Business Development Speaker. She wowed the crowd with a 35 minute speach on empowering yourself,listening to your intuition for success and living your life with integrity. Governor Rod Blagojevich,Mayor Richard M.Daley and Judy barr Topinka also shared the stage. The sold out event was held at Navy Pier.